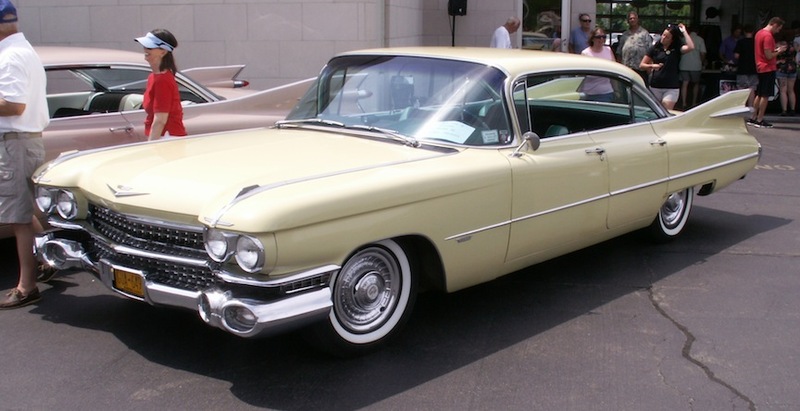 Couldn’t mention Sunday’s Cadillac show without showing one here — so here’s a nifty 1959 Cadillac Series 62 Six-Window Sedan. This one looks a little more attainable without the rear fender skirts – and not quite as long! The brochure here didn’t mention the gargantuan tailfins, but did go on about how “Every new luxury and convenience appointment is in constant attendance to both driver and passengers…” No, I don’t understand that sentence either! This (if you missed yesterday’s posting) was at the Western New York Region Cadillac & LaSalle Club show, held at Keyser Cadillac in Williamsville. — Jim Corbran, RRofWNY The post RealRides of WNY appeared first on Buffalo Cars.